Whatever the season and whatever the weather, there is always something special to see at Britain’s hottest Garden where the unique microclimate supports a superb sub-tropical collection of over 33,000 trees and plants across 22 acres. 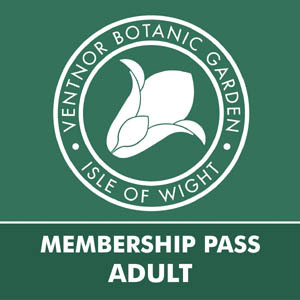 An Annual Adult Pass offers unlimited access to Ventnor Botanic Garden plus exclusive member benefits for one adult for one year from date of issue. The pass’ expiry date will be clearly stated on the Pass. The pass covers the person named only and must be shown when making a purchase to be eligible for any discount. Discounts do not include alcoholic beverages or art. One guest per pass holder can receive half price admission at any one time. Annual Membership Passes do not provide access to special ticketed events.